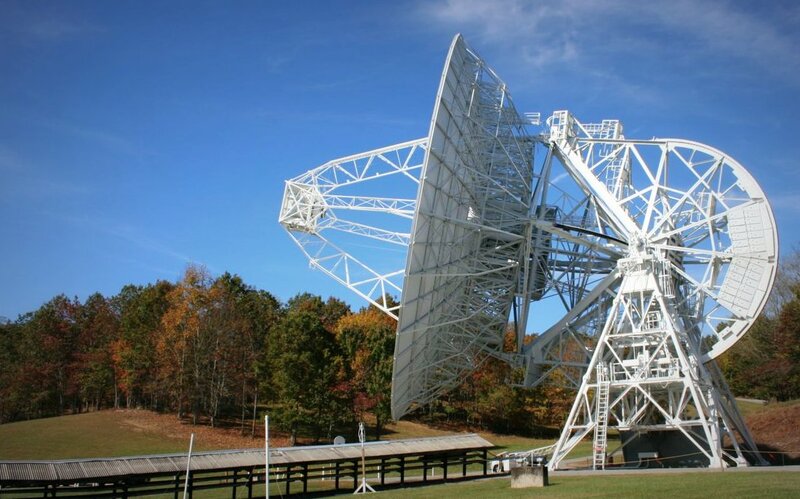 I’ve been invited to speak at the Pisgah Astronomical Research Institute (PARI), a non-profit educational radio astronomy observatory (and former NASA tracking station as well as one-time NSA installation), in the mountains of western North Carolina. I’ll be speaking about shortwave radio, of course–both its technical and cultural aspects–on October 10, 2014, at 7:00 pm EDT. Afterwards, there will be a tour of the PARI campus, and an opportunity to stargaze with both amateur and professional astronomers. 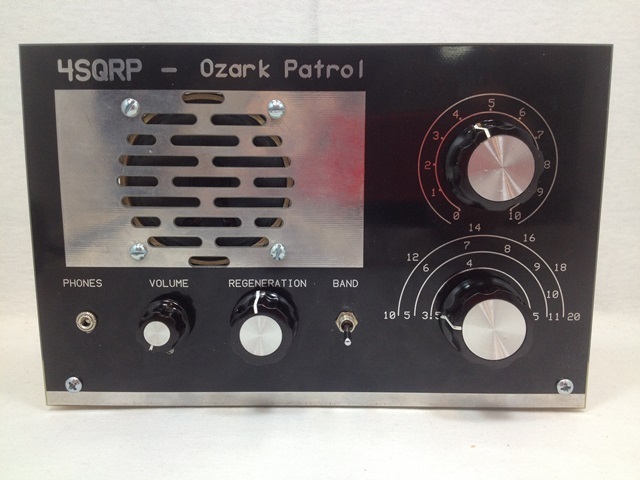 “Shortwave radio is an international communications medium that has been in existence for nearly one hundred years,” said Witherspoon, “yet this vintage technology supports an ever-evolving multicultural landscape that, remarkably, remains relevant today. 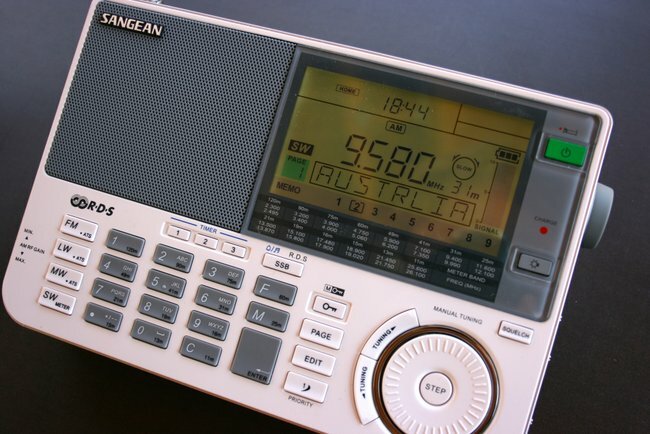 The Internet and mobile technologies have made the dissemination of information more readily accessible to many, yet shortwave radio remains viable and dynamic, and in many ways still outstrips the Internet. Read the full article here–and if you can make the journey, join us for shortwave and astronomical fun. There is a small charge for the evening; all proceeds go towards PARI’s mission of providing public education in astronomy. PARI is a stunning radio astronomy campus which will no doubt be accentuated by the mountains’ fall leaf colors on October 10. For PARI’s location, click here. This entry was posted in News, Shortwave Radio and tagged K4SWL, PARI, Pisgah Astronomical Research Institute, Thomas Witherspoon on September 26, 2014 by Thomas. Dave Zantow (N9EWO) has posted reviews of the Tecsun PL-660, PL-880 and Sangean ATS-909X on his website. Dave even includes a review of the Radiolabs “ClearMod” version of the Sangean ATS-909X. Click here to read the reviews (scroll down to view all). Many thanks, Dave; I always value your reviews! This entry was posted in News, Reviews and tagged Dave Zantow (N9EWO), N9EWO, Reviews, Shortwave Radio Reviews on September 24, 2014 by Thomas. 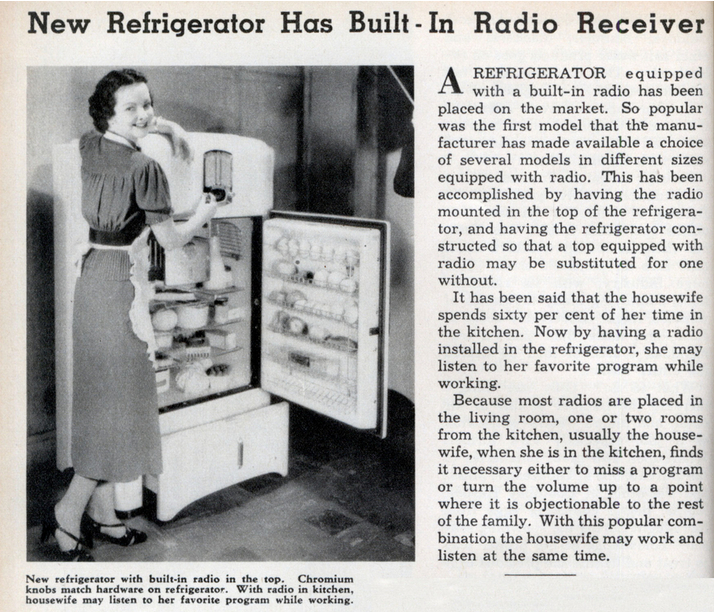 Jesse Walker, author of the book Rebels on the Air: An Alternative History of Radio in America, pointed me to this rather novel invention from 1937 — the refrigerator-radio combination unit. This may seem like an odd marriage of tech, but it makes perfect sense when you realise that it in the 1930s it was becoming harder to sell new radios and much easier to sell new fridges. Despite the Great Depression, America saw an explosion of mechanical refrigerator ownership during the 1930s. In 1930, just 8 per cent of American households had a fridge. By the end of the decade, nearly half of American homes had one. But the market for radios was pretty saturated in the late 1930s. Over 80 per cent of American households had a radio by the end of the decade. So radio set manufacturers tried to insert their products into new places that from the vantage point of the future, we can see didn’t pan out (like refrigerators) and others that did (like cars). This entry was posted in AM, News, Nostalgia, Radio History, Radios and tagged Fridge Radio, Gizmodo, Nostalgia, Radios, Refrigerator Radio on September 24, 2014 by Thomas. “WRTH 2015 will be published, as usual, in early December. This will be the 69th Annual edition! Even though both International and Domestic SW is declining there is still a lot to be heard out there on those broadcast bands, so don’t consign the SW receiver to the attic (to gather dust) just yet. There is a mix of over 200 languages and dialects to get stuck in to, plus the Clandestine broadcasters are always around from politically troubled areas. Some of these are low powered or broadcasting to a different part of the world and can be a tough challenge to pick up. All the details you need to stand the best chance of catching these, or any of the other broadcasters (be it LW, MW, SW or FM), can be found in WRTH. 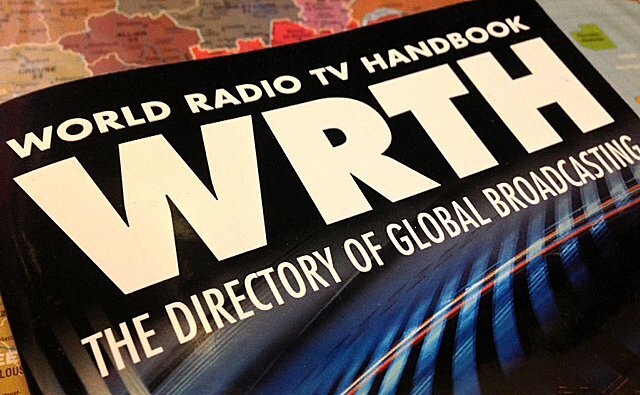 This entry was posted in AM, Books, Broadcasters, Mediumwave, New Products, News, Shortwave Radio, What's On Shortwave and tagged Sean Gilbert, Word Radio and TV Handbook, WRTH, WRTH 2015 on September 24, 2014 by Thomas.